An indicator for drawing all important Pivot Points including: "Classic", "Camarilla", "Woodie", "Floor", "Fibonacci", "Fibonacci_Retracement". You can choose different timeframes for pivot calculation. Customizable width, color and style. 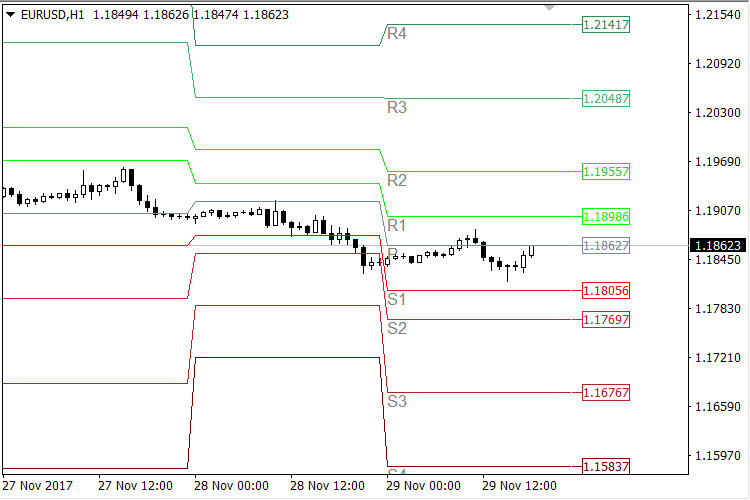 Compatible to have multiple pivots with different timeframes in one chart.